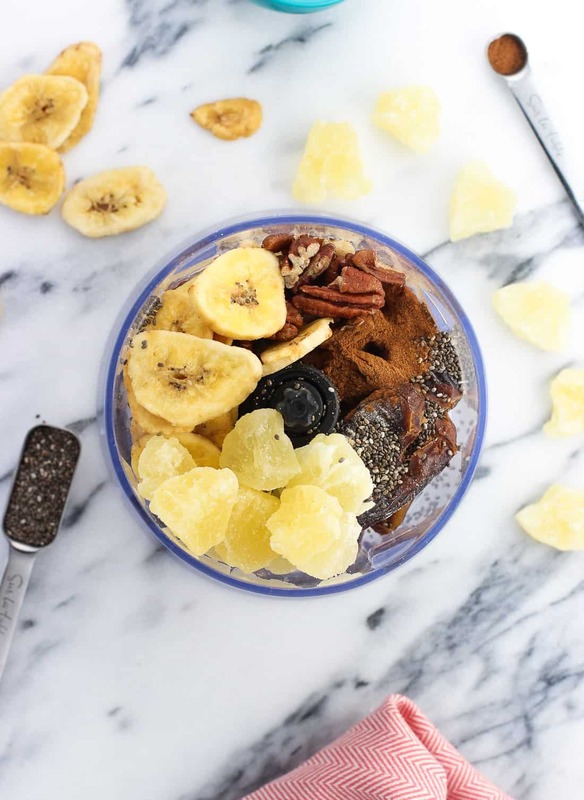 With pineapple, banana, pecans, and cinnamon, these hummingbird pineapple banana chia bars are a date-based healthier snack that’s sure to please! 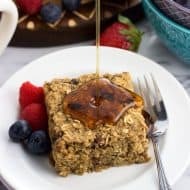 The traditional flavors of the classic Southern hummingbird cake combine wonderfully in these vegan snack bars that have a texture similar to a Larabar. Hummingbird cake is a spice cake of sorts that features crushed pineapple, mashed banana, and pecans, all topped in cream cheese icing. It’s delicious, but most definitely an occasional treat. When making my last batch of apple cinnamon chia bars, I got to thinking about the possibility of switching in various dried fruits for the dried apple slices. Thus, pineapple banana chia bars were born. 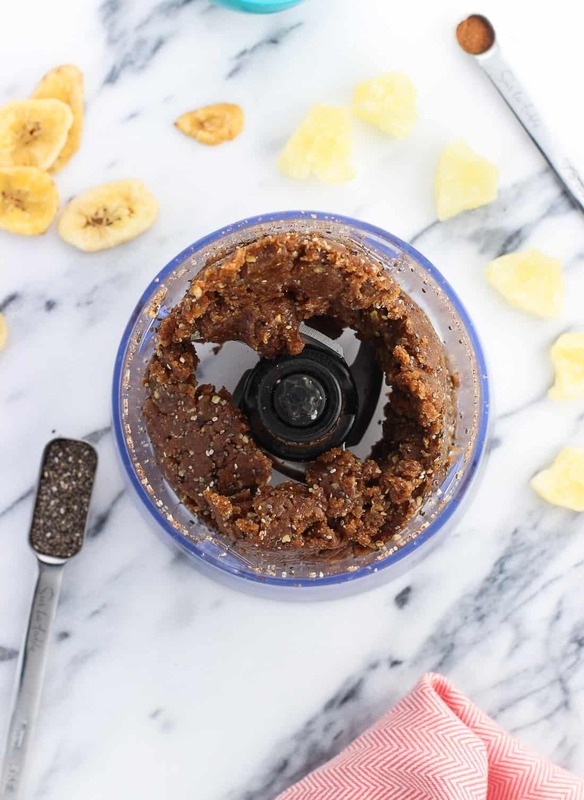 Dried pineapple and banana chips combine in the food processor with dates, nuts (pecans in this case), ground cinnamon, and chia seeds for a chewy and filling, no-bake snack bar recipe that has a great texture. 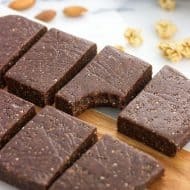 Very similar to a Larabar, and super easy to make at home. 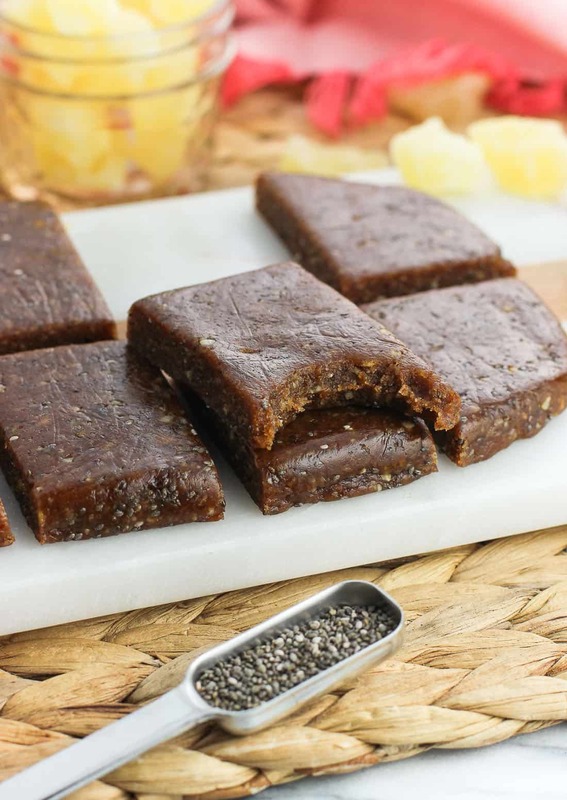 The recipe steps for these pineapple banana chia bars are very simple. Add everything to the bowl of a food processor and process in increments until everything is well combined and resembles the photo above. The mixture will form a cohesive “dough” and will hold an indent when you press into it. One of the great things about its texture is that it holds shape very well. I didn’t do anything fancy to shape them – just placed the ball between two sheets of plastic wrap, and pressed down with my hands/a rolling pin until it was rectangular in shape about 1/2″-thick. All that’s left to do is wrap it up with the ends of the plastic wrap and refrigerate. 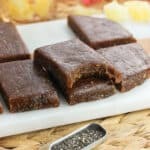 I let these pineapple banana chia bars refrigerate for at least a half hour, though longer wouldn’t hurt. This helps them firm up to become a breeze to slice and get the precise edges you see below. I recommend storing them in the refrigerator, too. They won’t spoil at room temperature, but will be a bit softer and delicate. I found both the banana chips and dried pineapple in the bulk area of my regular grocery store. At a different chain I found them both on a stand in the produce section, next to the dates, nuts, prepackaged store brand nut mixes, etc. 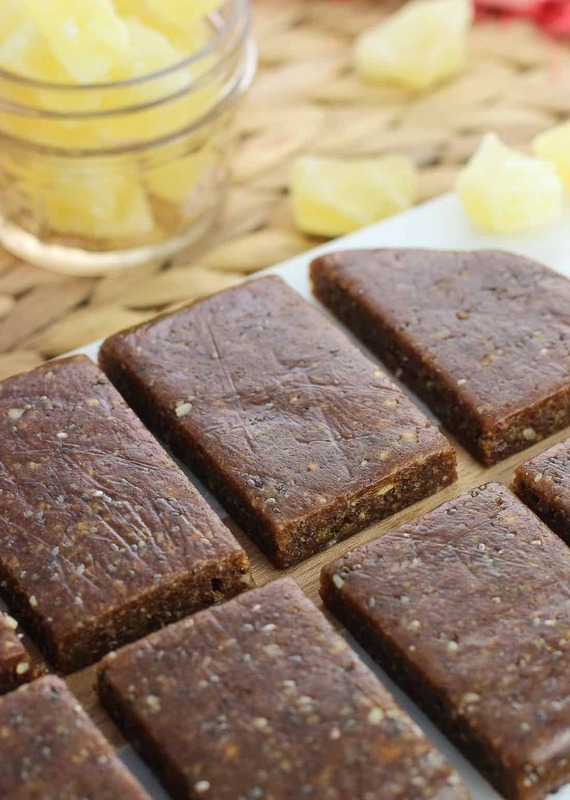 I do not recommend using fresh pineapple and/or banana in these pineapple banana chia bars. All of the moisture that comes with fresh fruit would likely mess with the texture. These pineapple banana chia bars are best stored in the refrigerator to maintain their firm texture. However I’ve packed them in my lunch and let them stay at room temperature for five or six hours and they’re still great. Just a little softer/more malleable. 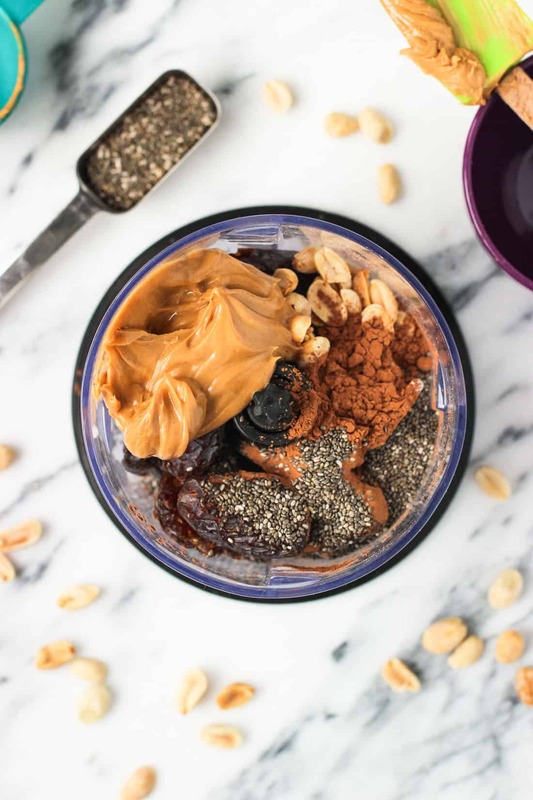 My (super) inexpensive food processor (affiliate link) is still going strong after years worth of chia bars, pestos, you name it. 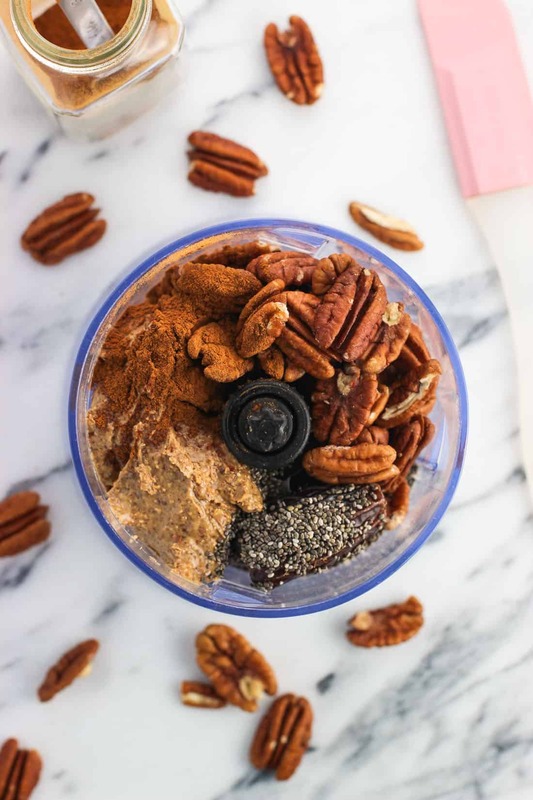 It can handle the dates like a champ and works so well to pulverize all of the ingredients to form a cohesive mixture. Plus the set I linked to includes a blender container, too. It’s a great deal! 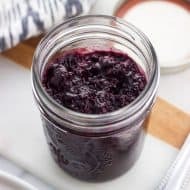 Add all ingredients to the bowl of a food processor and process in 15-20 second increments, or until the mixture becomes cohesive and holds its shape when you press on it. 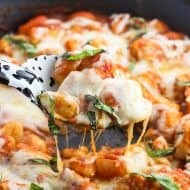 You may need to scrape down the sides periodically to ensure all of the ingredients are being incorporated. Turn out mixture onto a sheet of plastic wrap, then place another layer of plastic wrap over top. Press the mixture into a rectangular shape about 1/2"-thick. Pay extra attention to pressing on the sides so that it all holds together well. Once shaped, wrapped the ends of the plastic around it and place in the refrigerator. Refrigerate for at least 30 minutes, or until it has firmed up nicely. Slice into eight bars, then store in the refrigerator. You can sub in walnuts for a portion (or even all!) of the pecans here - the texture will be the same. If you're crazy for cinnamon, you can add a little more than what the recipe calls for. The flavor isn't super strong in the finished product as-is. 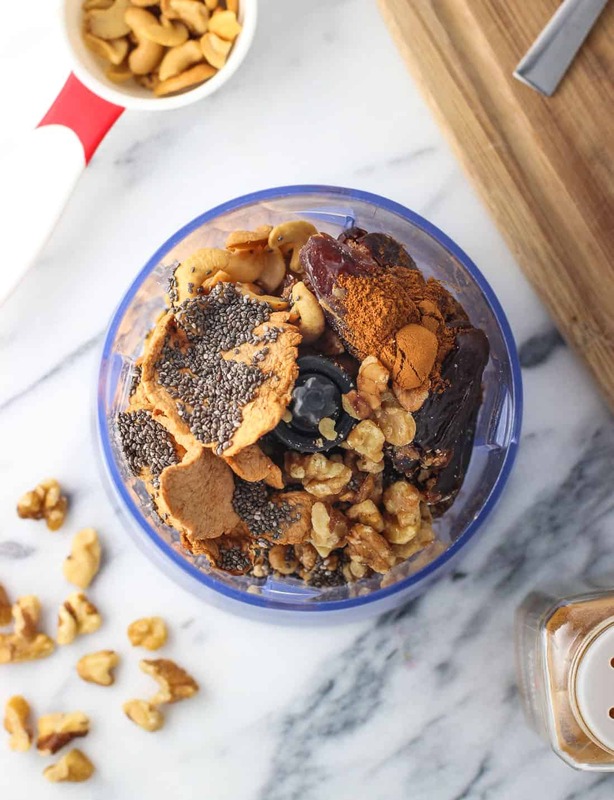 If you’re into the idea of healthy, date-based snack bars, check out my other chia bar flavors!